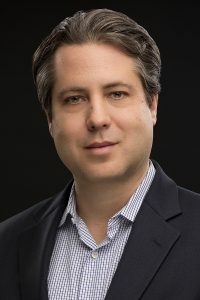 Gerald Campano is associate professor and chair of the Reading/Writing/Literacy Division at the University of Pennsylvania’s Graduate School of Education. His scholarship focuses on practitioner research, critical literacy, identity, and university–community partnerships. Previously, Campano was a full-time classroom teacher in Texas, Puerto Rico, and California. He has garnered numerous teaching awards at the elementary and university level. 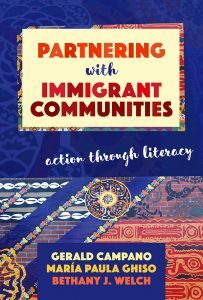 Campano is a Carnegie Scholar and the recipient of the NCTE David H. Russell Award for distinguished Research in the Teaching of English for his book Immigrant Students and Literacy: Reading, Writing, and Remembering. María Paula Ghiso is an assistant professor in the Department of Curriculum and Teaching at Teachers College, Columbia University. 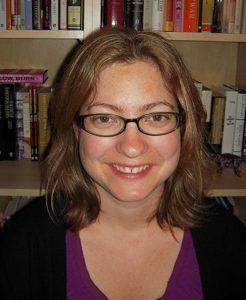 Her scholarly interests include early childhood literacy in multilingual and transnational contexts. Ghiso is a former New York City dual language teacher and has facilitated professional development on language and literacy learning in a range of contexts. She has published in venues such as Journal of Literacy Research, Equity and Excellence in Education, Research in the Teaching of English, and Teachers College Record. 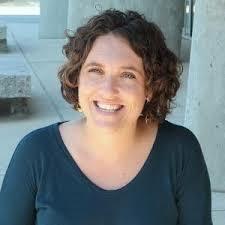 Bethany J. Welch is the founding director of Aquinas Center and a nonprofit management consultant. Her research on the Catholic Church and urban revitalization prompted Philadelphia’s St. Thomas Aquinas parish to invite her to help repurpose a former convent into a space that builds unity in diversity, supports learning, and inspires thoughtful action. In 2014, she was recognized by the U.S. Conference of Catholic Bishops with the Cardinal Bernardin New Leadership Award for her work on the effects of poverty and injustice. A VISTA volunteer in 2003–2004, she also received a Spirit of Service Award in 2006 from the Corporation for National and Community Service for advancing transformational change in urban communities through research, planning, and capacity building. The award presentation will be held at the NCTE Award Session on Saturday, November 17 during the NCTE Annual Convention in Houston, Texas. This award honors an outstanding work of scholarship or research in language, literature, rhetoric, or pedagogy and learning. Any work or works of scholarship or research in language, literature, rhetoric, or pedagogy and learning published during the previous five-year period prior to January 1 of the year of the award. If an individual or company nominates more than three books, only the first three of its nominations to be received will be considered. Any published research (a work or works by the same author or authors) in language, literature, rhetoric, teaching procedures, or cognitive processes that may sharpen the teaching or the content of English at any instructional level. Publication must be available in English. Commercially published instructional materials are not eligible for consideration. Reports of doctoral studies, while not precluded from consideration for the Russell Award, are typically considered as part of NCTE’s separate “Promising Researcher” program. The award recipient is announced in November each year and honored at the NCTE Annual Convention with a plaque and honorarium. The award was established in 1963 as the Distinguished Research Award and renamed in 1966 to honor the Council’s late president David H. Russell. Nomination materials must be postmarked no later than March 1 and sent to college@ncte.org or by postal mail to NCTE David H. Russell Award, 1111 W. Kenyon Road, Urbana, IL 61801-1096. A nomination letter with your name, phone, email, author, title, publisher, date of publication, and one paragraph indicating your reasons for nominating the work. Four copies of the publication for distribution to the Selection Committee, or if that is not possible, provide full bibliographic information so that the Selection Committee will not encounter any difficulty in locating the publication nominated. NOTE: Publications sent without supporting documents will not be considered. The Selection Committee determines the winner based upon the nominations meeting the criteria each year. The Selection Committee consists of three members, who serve three-year staggered terms. The chair of the committee shall be the member who has served longest. Each year, before the NCTE Annual Convention, the incumbent NCTE president shall appoint one member of the committee to replace the retiring member.